One of the greatest things about peer-to-peer fundraising is that it puts a powerful tool in the hands of a person passionate about your cause. This person—often a complete stranger, sometimes halfway around the country—is not a member of your development team, yet suddenly they’re just as empowered to secure the funds needed to make an impact. With minimal effort, these fundraising all-stars can make a huge difference for your organization. In fact, by taking several small actions, both you and your fundraisers can yield exponential rewards. Whether for pages or emails, templates save your fundraisers time and help them get their campaign up and running quickly. Write a short paragraph that lives in your supporter’s personal fundraising page, with details on the cause or an appeal to visitors. With Classy, you can standardize the copy that appears on each new personal fundraising page, which fundraisers can then adjust or leave as is. The quicker supporters can create a page that looks complete, the more likely they’ll be to start fundraising. In addition to this type of template, your organization can also provide sample social media posts and email appeals for your fundraisers. Not only does this make it easier for them communicate with their network quickly, but you also take care of the heavy lifting for those who are unsure how to ask for donations. With Classy, you can create a template like the one above for your fundraisers to quickly edit and send off. Classy’s Milestone Emails, once created, will save your organization a great deal of time. 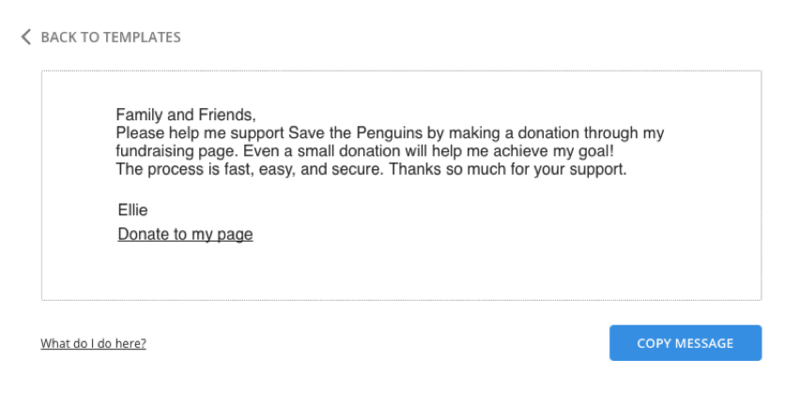 These emails trigger and congratulate fundraisers when they reach a specific percent of their overall goal. Individual, timely recognition will help fundraisers feel more valuable to your organization. You can also include language that pumps them up to keep on keepin’ on. These nurturing actions are crucial to keeping fundraisers engaged and active throughout time-based campaigns. Encourage fundraisers to complete the following small actions and put their best foot forward. To make your coaching efforts easier, Classy also provides coaching cards that lead fundraisers through the setup process and suggest low-effort, high-impact actions like the ones below. A fundraiser’s page will feel more secure and authentic if it includes a personal image. This helps their network, or any visitor to their page, draw the connection between the fundraiser and the cause. Using the email template (that you provided), fundraisers can quickly edit and send off a message to their personal networks. As their close friends and family are the most likely to support them, a quick email can be all it takes for the support to roll in. Encourage them to send a message to a specific number of people. According to the goal proximity effect, people are more likely to support a campaign if it’s closer to its goal and seems likely to succeed. If your fundraiser donates to their own page, it gets something in the pot to show they are serious about the cause and that they’re committed to getting closer to the goal. A short message or tagline can draw people into a fundraiser’s page and help visitors understand why they’re raising money. Like a well-written email subject line, a headline can capture attention and improve the odds of someone looking through the entire page. 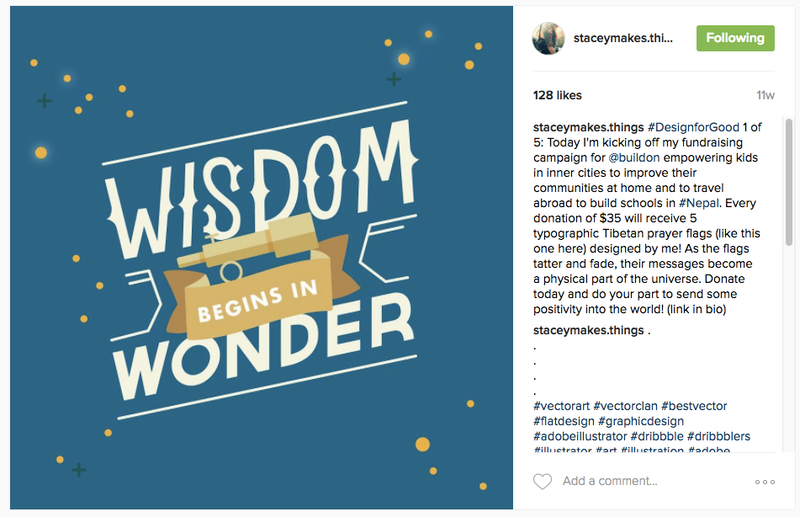 In this example, Brooke uses a quote to set the tone for her page and draw people in. Ask your fundraisers to post updates throughout their campaign. 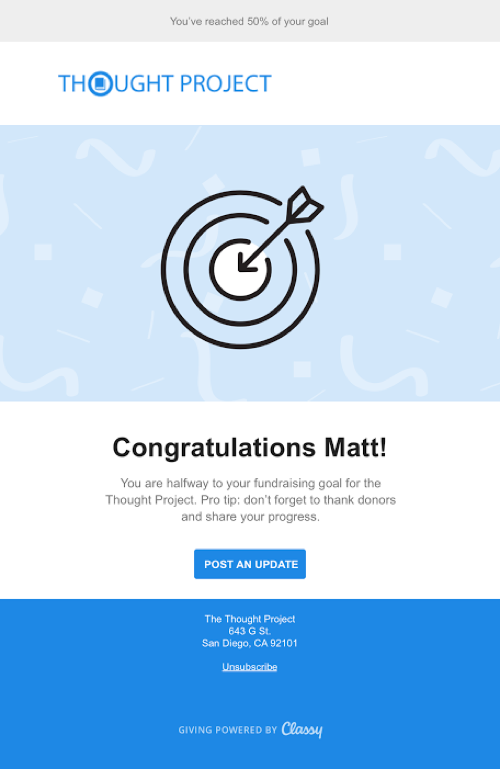 Not only does this keep donors in the loop about their progress, but it can also remind previous supporters to share your campaign to help achieve the goal, or perhaps, even contribute again. Encourage your fundraisers to regularly post their campaign across their social channels. Using your template, they can quickly copy and paste and make slight adjustments to personalize the message. Regular updates to their community will help the campaign gain more exposure. It can’t hurt to remind your fundraisers that though they may have posted to their channels a few times, each post only reaches a certain percentage of their total audience—so it’s important to continue to post throughout the entire campaign. In this example, Stacey incentives donors with prizes and posts each time a new flag is released. When it comes to peer-to-peer fundraising, little actions can lead to large results. Complete and encourage the action items above to streamline the process for those who want to extend your impact as much as possible.